The latest posts for atlanta employment lawyer are listed below. 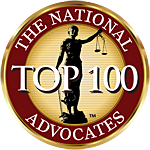 The latest posts for best atlanta employment attorney are listed below. The latest posts for best atlanta employment lawyer are listed below. The latest posts for quit are listed below. The latest posts for quitting are listed below. The latest posts for resign are listed below. The latest posts for resignation are listed below. The latest posts for Retaliation are listed below. The latest posts for Workers' Rights are listed below.